For almost 12 years now, Homechoice Planners and Construction Corporation has been a known builder of customized houses. And for almost 12 years, HPCC has been building mid to high end customized houses. HPCC may still be a baby in the construction industry, comparing to other renowned construction firms here in Cagayan de Oro City that has been in the industry for decades already, but one quality that makes HPCC stand out from the others is its innovativeness. Like any other construction company here in the city, HPCC started out as a traditional builder of houses that is using CHB or the core hollow block. And then in the year 2012, HPCC went out of the norm and started using the Plaswall Technology as their main ingredient in building houses, making them the first one to use this kind of system here in Cagayan de Oro City. HPCC’s very first project using the Plaswall Technology was a success and with this, the system has started to become HPCC’s trademark here in the city. Fast forward to this time, Plaswall Technology is still part of HPCC’s construction system. Because of the system’s efficacy, it has gained interest from clients and even other construction firms as to how it works. And this is the reason why one of the known housing developers here in the city has tapped with HPCC to venture in their newest development. 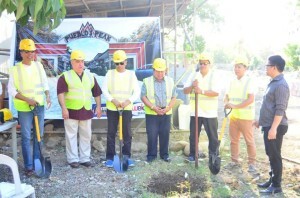 A Brown Company Inc. – the renowned developer of Xavier Estates, Teakwood Hills and Ventura Residences is developing new projects and one of it is a socialized housing located at Agusan, Cagayan de Oro City called Mangoville. This certain project is HPCC’s pioneering venture in socialized housing and collaboration with a housing developer. 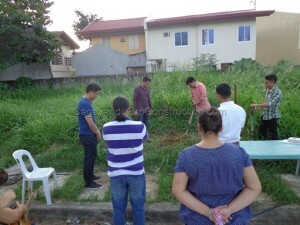 Last August 13, HPCC held its groundbreaking prayer and started its layout at Mangoville. This project is set to finish on November this year. And HPCC is excited about this project since it’s the company’s desire to have a venture in subdivision and housing developments. Thanks to A Brown Company Inc. for opening its door to HPCC and for giving them the opportunity to start fulfilling one of their desires. Congratulations to HPCC and A Brown Company Inc. for this collaboration! 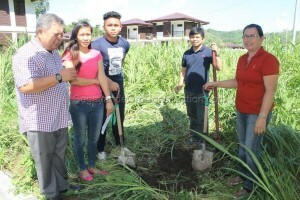 It has been three years or so since the last project HPCC had at Xavier Estates. 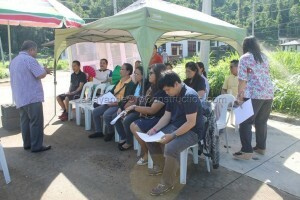 This year, Homechoice Planners and Construction Corporation goes back to Xavier Estates for its new project. Known for its customized design houses, this latest project of HPCC is another project that is designed according to the client’s preference. 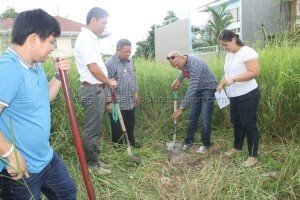 This two-storey residential building project conducted its groundbreaking and lot dedication last 10th of June. The owner’s family, HPCC’s staffs and ministering partner First Assembly of God church pastoral staffs were present during the event. 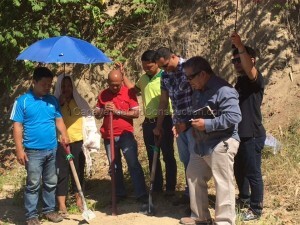 It was another remarkable event for HPCC as this project serves as the company’s welcome back project in one of Cagayan de Oro City’s high end subdivision. Congratulations to the project’s owner and builder! See you on its full swing construction! New project is on the rise. This project is located at Tuscania Subdivision adjacent to one of HPCC’s upcoming projects. Just like its adjacent project, this is going to be a bungalow project but a modified Capri model since the owner opted to have a carport with roof. 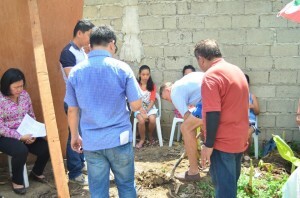 Last June 2, groundbreaking and lot dedication of the said property was conducted. The owner together with their family and friends were present at the event. It’s all glory to God that the event was a success. Even in a gloomy weather, God orchestrated everything that all things happened smoothly and the event ended well. God didn’t pour out the rain that morning but gave us a shady cloud. Thanks to the owner for the opportunity they have given HPCC to be the builder of their dream home. It was all God’s plan. Praise God from whom all blessings flow. It has been a productive month for Homechoice Planners and Construction Corporation as three projects await to start. In fact one project is on its full swing construction already right after its groundbreaking and lot dedication last May 23. This certain project is a two-storey residential building located at Villa Ernesto Subdivision, Gusa. 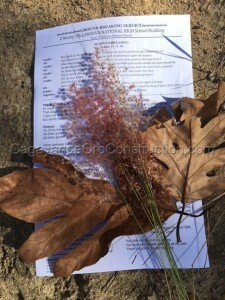 The other two projects also dedicated their lots and conducted a groundbreaking. 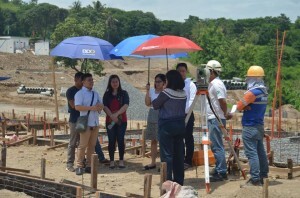 Last May 10, HPCC’s very first commercial arcade project along Mastersons Avenue held its groundbreaking and recently the upcoming one-storey residential building also held its groundbreaking at Tuscania Subdivision. Homechoice Planners and Construction Corporation is privileged to have been chosen as the builder of the above mentioned projects. The company does not only build buildings but also fulfills the dreams of the clients. Congratulations to the owners of the projects! Let’s not just build buildings but establish good relationship as well. 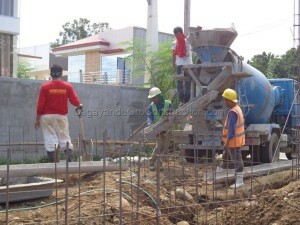 Updates of the projects can be seen in our facebook page – Cagayan de Oro Construction. Please do check it out. Homechoice Planners & Const. Corp., has break the ground for its upcoming projects for 2017. And not just one, but two, for just this month of April!!! 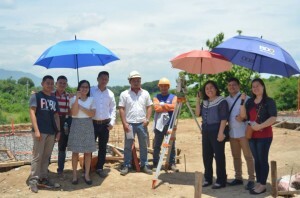 Last April 25, 2017 the company representatives together with its client, and with the CDO First Assembly Church staff had its groundbreaking ceremony at Tuscania Subdivision. And on April 29, 2017 another groundbreaking was held at Puntod Cagayan de Oro. Indeed, this will be the start of a year of abundant blessing, a year of continual improvement and a year of total commitment as the company aims to achieve its full potential within its vision, mission and core values. A year or so has passed since Homechoice Planners’ last project at Hillsborough Pointe and now the company has a comeback project in the said subdivision. Thanks to the family who has chosen HPCC to be the builder of their future home. Last 28th of July was the scheduled groundbreaking and lot dedication service of HPCC’s project 6 at Hillsborough Pointe. The service was ministered by HPCC’s church partner – First Assembly of God church that was headed by Pastor Elpie Taboclaon. This project is a two storey residential that has a total floor area of 165 square meters; and consists of living room, dining area, kitchen area, and maid’s room, guest room with bathroom, music room, two bedrooms, master’s bedroom with walk in closet and bathroom, and two common bathrooms. Soon enough, HPCC will start its full swing construction of this certain project. And after six or seven months of construction, from its perspective, this house will be in its tangible form. Congratulations to the family for this breakthrough. And in behalf of HPCC, thank you to the family for trusting the company in building their dream house. Updates soon! Stepping up and making the move, Homechoice Planners and Construction Corporation ventures in not only one but two school projects for this year. The company has indeed widened its horizon to projects ranging from residential to commercial and school building. 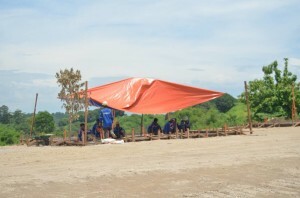 These school projects are located at Misamis Oriental; which both projects having a two-storey and four classroom building. Last 29th of January, groundbreaking and lot dedication service was held at one of the school projects located at Villanueva. On the next day, January 30th, the second project at Tagoloan also conducted its groundbreaking and lot dedication service. Of these two projects, the project at Tagoloan was the first to start its full swing construction; it has started last February 1. With the technology that the company will be using for this certain project, its estimated project completion will be around April 2016. 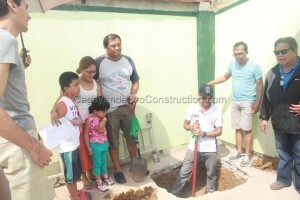 It has been planned that the Villanueva project will start its construction after the completion of project Tagoloan. It sure is an exciting start of the year because of HPCC’s line up projects. The company has indeed stepped up to greater possibilities. And this is all to the glory of God; for with Him nothing is impossible. Updates and developments of these projects will be posted soon. Kudos! 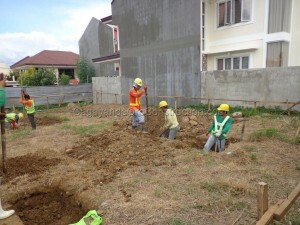 Another project of HomeChoice Planners and Construction Corporation is set to start at Kisanlu Subdivision. This project is HPCC’s third project already in the said subdivision. You reap what you sow as what they say, and this certain project is a product of what the company has sown in other projects. Through the previous projects that HPCC has sown at Kisanlu Subdivision, the company was able to reap another project through their referral. This project is a three bedroom two-storey residential with roof deck. Another project that is uniquely designed based on the owner’s choice. 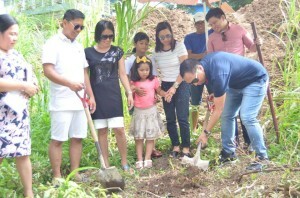 This customized modern house held its groundbreaking and lot dedication last 17th of October together with the owners, HPCC staff and CDO FAOG church as the ministering party. You really reap what you sow especially when what you have sown was well cultivated and taken care of. HPCC is in deep gratitude to its past clients in Kisanlu Subdivision because through them the company was given the opportunity to fulfill the dream house of this new project. It is by God’s glory and favor that this project will soon start its construction. The family is surely looking forward to the completion of this project; HPCC is excited as well. We’ll keep you posted with the developments of this project. Newest project of HomeChoice Planners and Construction Corporation is now on its full swing construction at Vista Verde Village. This certain construction is HPCC’s 11th project in the said subdivision. 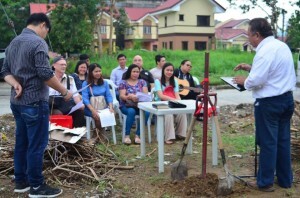 Last September 28, the said project held its groundbreaking and lot dedication service; attended by the project owner together with HPCC and CDO First Assembly of God church who ministered the service. It’s a privilege for HPCC to be able to serve yet another family with dreams of having their own house. The company is pleased to be the builder of this two-storey residential building at Vista Verde Village. This project is now on its first construction phase; working on with the layout, concrete pouring of beam and other structural works. Congratulations to the family for making this step in realizing their dream house. Thank you also for making HPCC part of this dream; being the builder of your home. Each party is excited to see the outcome of this collaboration. Kudos to us!